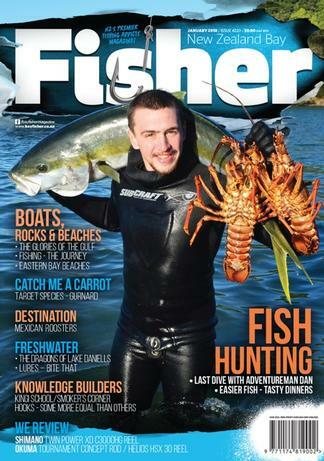 NZ Bay Fisher Magazine features all the best fishing action from around New Zealand. Get the best saltwater and freshwater fishing tips and techniques from the best anglers in the country. You'll find out top GPS marks and the best fishing destinations. Read about New Zealand's reknowned gamefishing for swordfish, marlin and kingfish, to fishing the kiwi's favorite fish: the snapper. We have latest news and reviews on gear from all the major tackle supplier. Get correct tide-times for all the major ports and hear about upcoming fishing competitions. Be the first person to tell us what you think about NZ Bay Fisher (NZ) and you'll save $5 on your next purchase!